Anne Sullivan community school is located in a quiet residential neighborhood, has a strong academic focus and a rich ethnic and cultural mix. Families and teachers are working together to strengthen individual student growth in all instructional areas. Our mission is to prepare all of our students for productive futures by igniting a passion for learning and by teaching at the highest levels. Our students, parents and staff are proud of Anne Sullivan School. It is a vibrant school dedicated to challenging, supporting and inspiring students to achieve their highest potential. We believe in community values. Accountability, responsibility, follow-through and reflection are key practiced behaviors by all members of the Anne Sullivan community. At Sullivan, we follow the four "B's": Be Respectful, Be Responsible, Be Safe, and Always Be Your Best! Anne Sullivan has an AVID Elementary and Middle School program. Culture Day is Thursday, April 25th we have two scheduled times for elementary and middle school students! Friday, April 26th from 5:00pm-7:30pm! Welcome to Anne Sullivan School! On Tuesday April 30th, we would like you to stop in to complete your child's registration materials. There will staff available in the K-5 Media Center from 9:00am to 11:00am to assist you with forms and to answer any questions. Cookies and juice will be served. Recent physical exam, IF available. information on childcare arrangements and addresses for transportation purposes. If you cannot come to Sullivan on this date, please come in sometime after May 6th during regular school hours 9:00am to 2:00pm to complete your registration forms. It's that time of year again... Summer School Applications! Summer School begins June 17th-July 25th (closed July 4th) for K-4th and 5th-8th, applications are available in the Sullivan Main Office. Kindergarten through 4th grade have multiple school sites to choose from Seward being our home base. 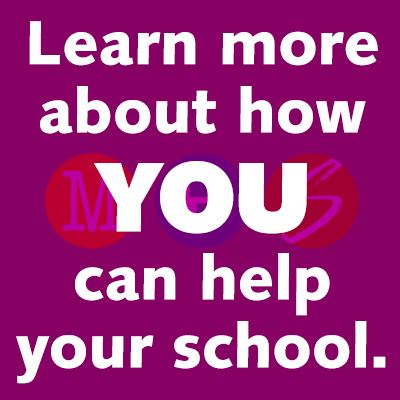 5th-8th grade have two sites available Olson Middle School & Sanford Middle School. SCHOOL HOURS: Our school day is from 8:40am-3:10pm. Our office is open from 7:30am-3:30pm. BUSES: The deadline for same-day bus changes is 12:00pm. Please see Transportation for more information. HOMEWORK HELP / TUTORING: Hennepin County Library offers free online tutoring as well as free in-person tutoring at the East Lake Street branch. Please click here for more information. SCHOOL TOURS: Want to know more about Sullivan? Call 612.668.5000 to schedule a tour! The Visit Our Schools campain runs from October 15th to November 7th. Scroll down for more information. Check it out! Information about the MPS Mobile App and text alerts (inclement weather, safety, etc.) is available here.